There's no other industry player we've written about more than "Maximum" Bob Lutz, but we've somehow never had him around to answer your questions. Today we change that. From GM to BMW to Ford to Chrysler to GM to VIA and VL, few people have shaped the industry as much as Lutz and now he's here to answer your questions. 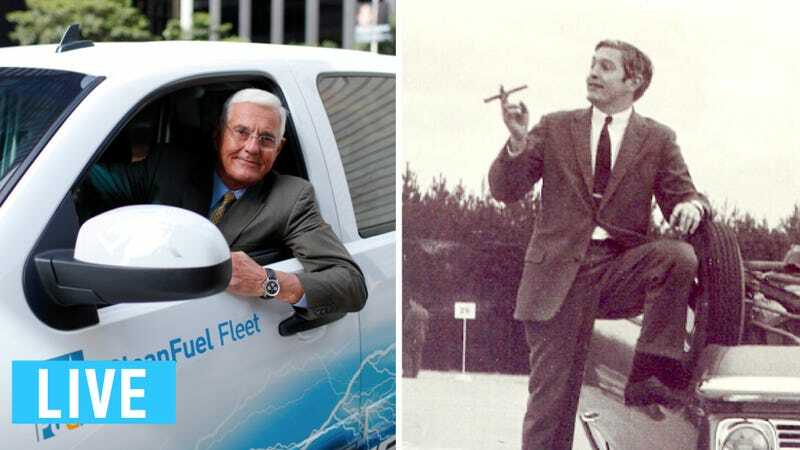 As you well know, Lutz got his start in the car industry working for GM after leaving the Marines and served in numerous positions in Europe before being wooed away to BMW (you can thank him for pushing the modern BMW-naming system) and later Ford, where he worked on products like the Ford Sierra. He then spent a long term at Chrysler, eventually rising to the position of President and COO, during which time he brought us the Viper. For four years at GM he gave us some of our most beloved products, including the GTO, G8, CTS, and Camaro. In addition to being a gearhead and an executive, Lutz's three books provide a great primer for understanding the modern car industry and leadership in general, especially "Car Guys VS. Bean Counters." You all know him, so now is your chance to answer as many of his questions as you can. UPDATE: Mr Lutz had to go but sends his regards. I also typed for him, so apologies for any mistakes which are all mine.